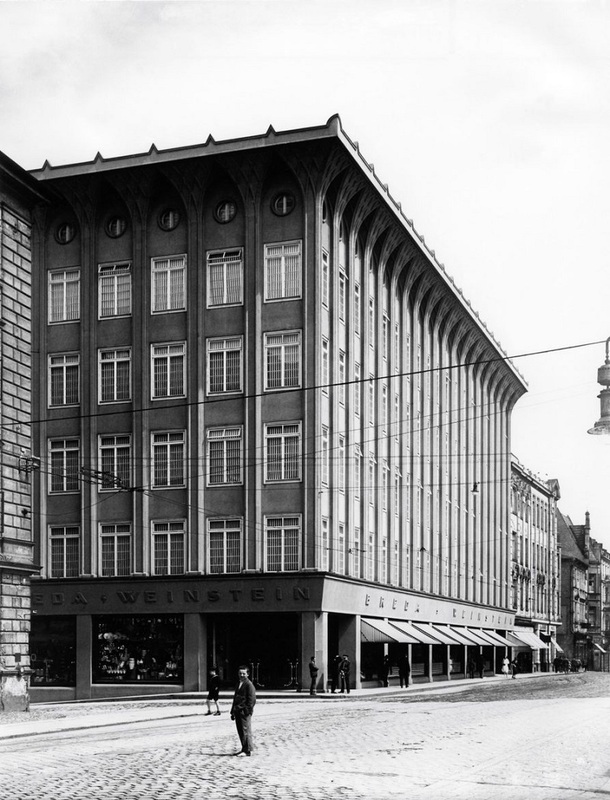 The Breda & Weinstein department store by the Viennese architect Leopold Bauer first opened at the beginning of October in 1928. It was one of the most modern buildings of its time. It stood five stories above ground and had two underground floors, and it served as retail shops as well as a clothing factory. 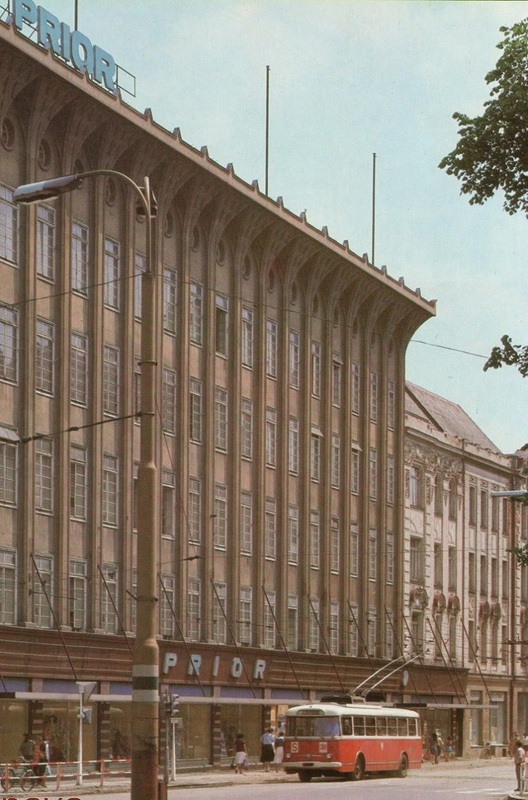 At the time, it was the largest department store in Czechoslovakia. 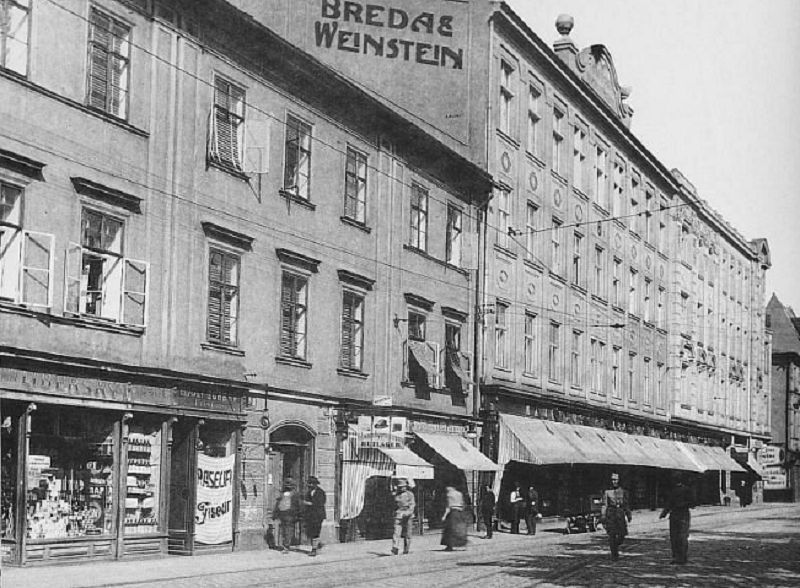 Weinstein and Breda met in 1897 at the Opava Synagogue. 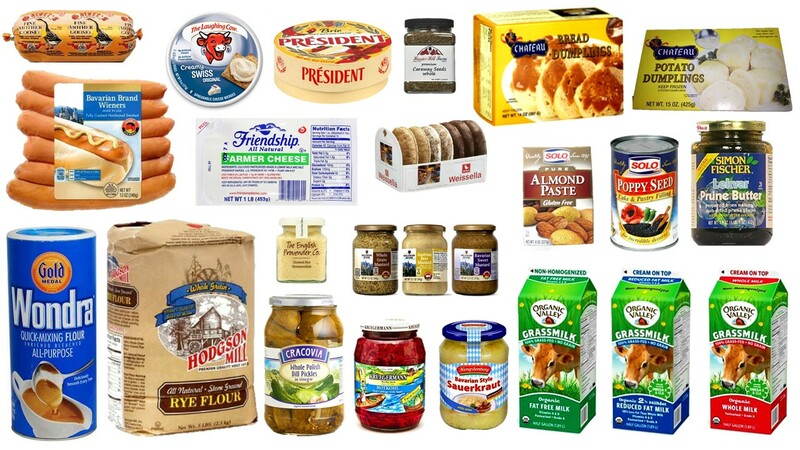 Together they opened a grocery store which was on the ground floor of an old tenement house until 1910. The two merchants were successful and their business grew. 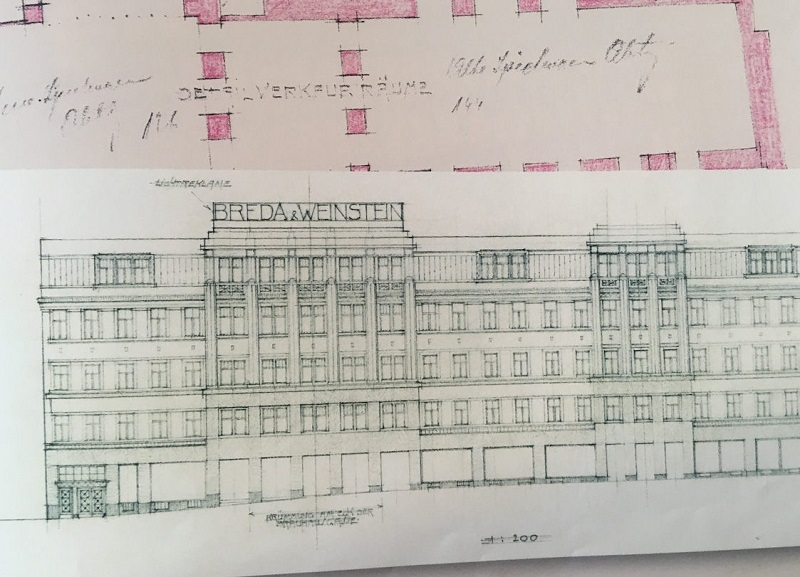 When the Breda & Weinstein department store first opened at the beginning of October in 1928, it was one of the most modern buildings of its time. It stood five stories above ground and had two underground floors, and it served as retail shops as well as a clothing factory. Standing proudly on Republiky Square (originally the square of Emperor Franz Joseph), it towered above all else and was a magnificent example of the future. 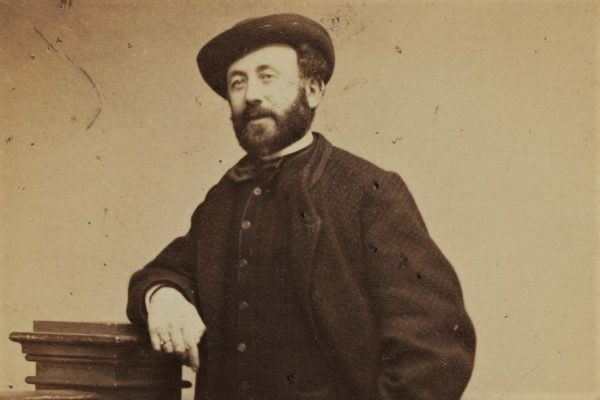 David Weinstein came from Hodolan near Olomouc. Photograph: Breda & Weinstein, Chapters from the History of the Opava Department Store, 1898-1998. 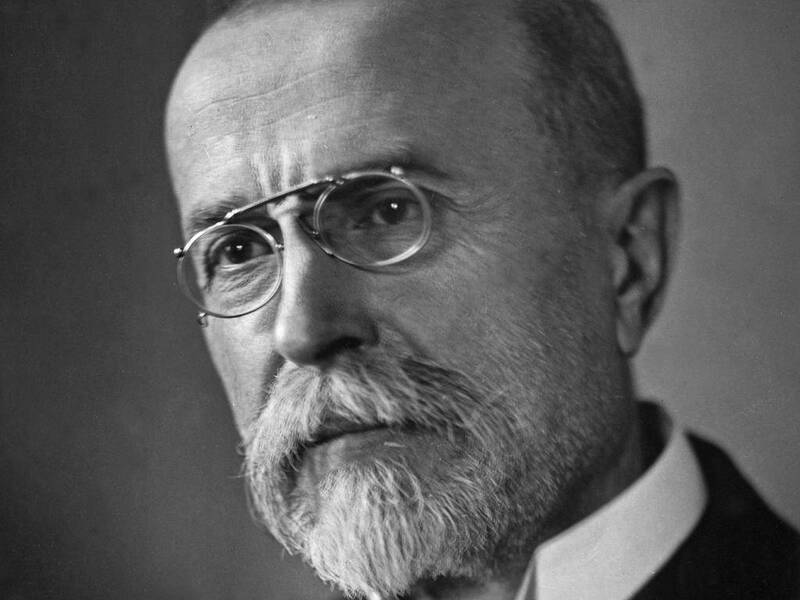 Max Breda was born in Boskovicich. 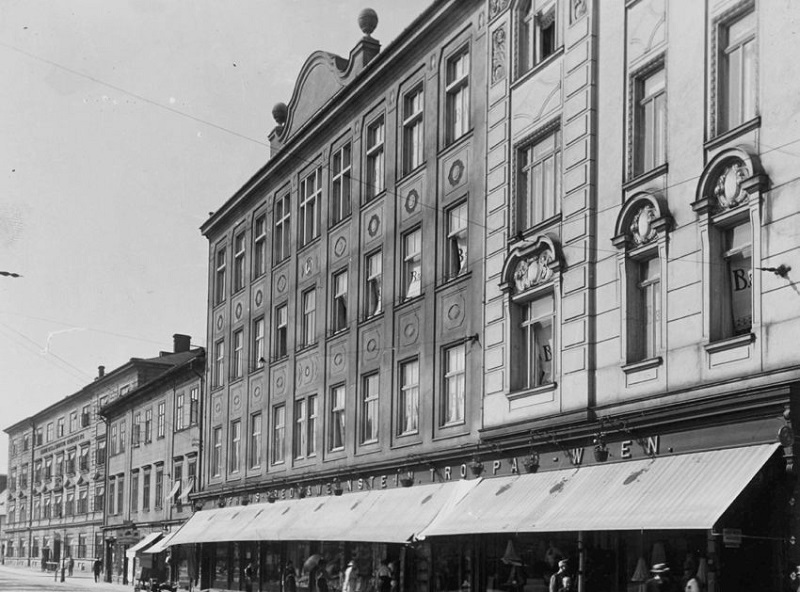 Photograph: Breda & Weinstein, Chapters from the History of the Opava Department Store, 1898-1998. 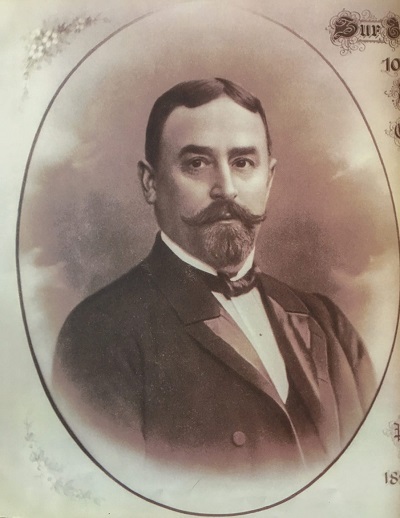 After World War I, David Weinstein (now the sole owner) decided to take advantage of the economic boom and build a state-of-the-art department store. Later, it becomes the dominant feature of the entire city. Photograph: Breda & Weinstein, Chapters from the History of the Opava Department Store, 1898-1998. When it first opened 90 years ago, it became the largest and most luxurious business house in then called Czechoslovakia. 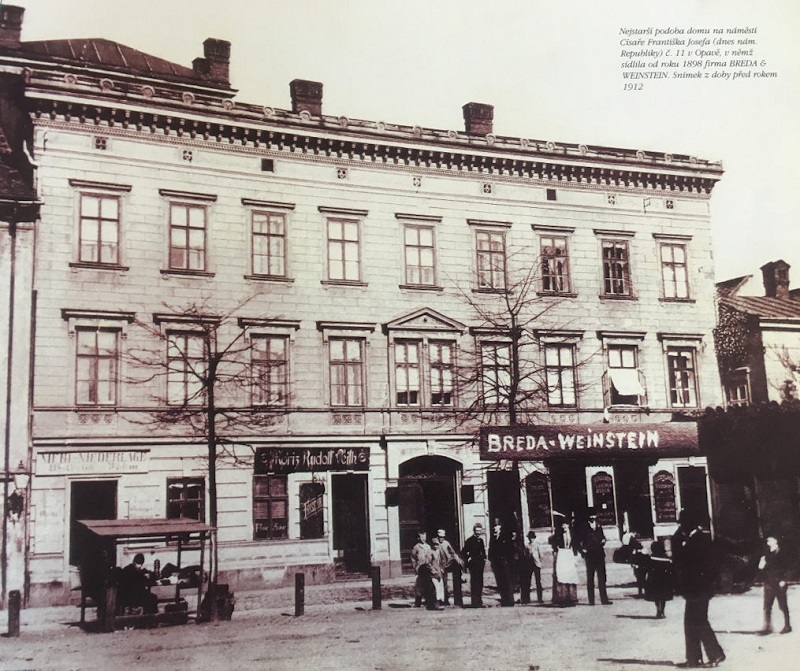 The Jewish merchants David Weinstein and Max Breda met in 1897 at the Opava Synagogue, and they shared the company based in the tenement building until 1910. When the Silesian metropolis was shattered by the effects of the First World War, Weinstein was the sole owner of the knitted and knitwear company. He decided to build a state-of-the-art department store, which was to become the dominant pace for such a business in the city. 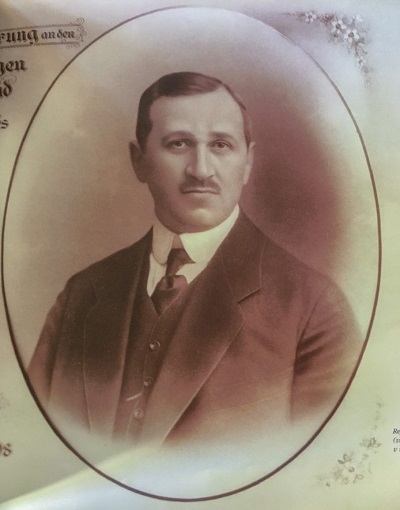 A unique contract was created by the respected Opava businessman, Leopold Bauer. 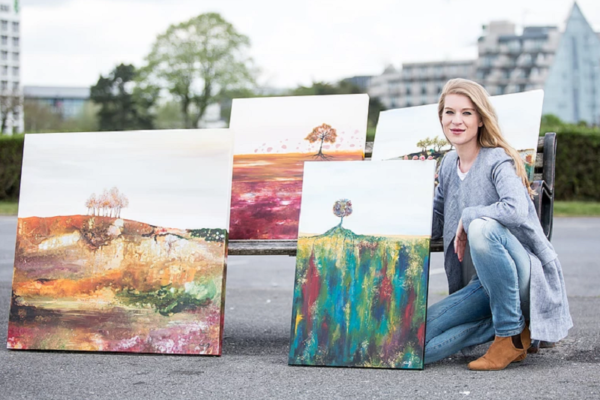 He was one of the main representatives of a style known as Vienna Art Nouveau. 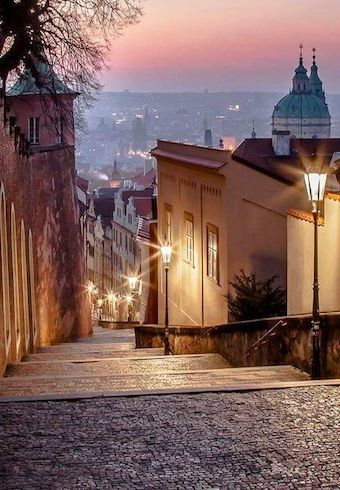 The construction on this building was completed within 14 months and came out at an unheard of 6.8 million Czechoslovak crowns. 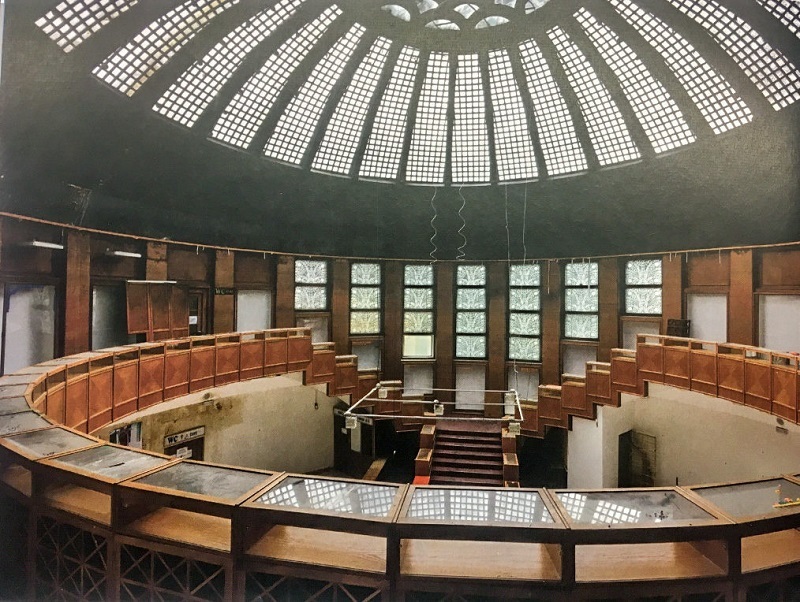 Bauer admitted he was inspired by the so-called Chicago School (or Architectural design) and Guaranty Building in Buffalo by Louis H. Sullivan. Chicago’s architecture is famous throughout the world and one specific style is referred to as the Chicago School. 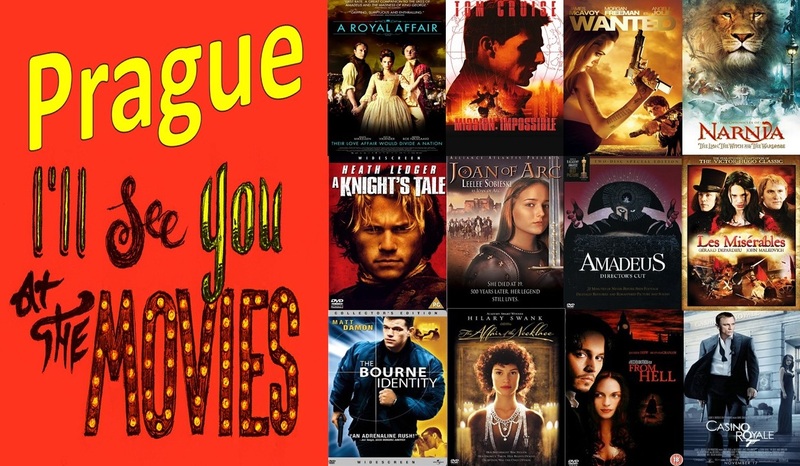 Much of its early work is also known as Commercial style. In the history of architecture, the first Chicago School was a school of architects active in Chicago at the turn of the 20th century. The seventh story building sat on two lots with a rectangular ground plan which had a reinforced concrete skeleton filled with masonry. The ground floor was divided by pillars and showcases, and the floor had rectangular windows. 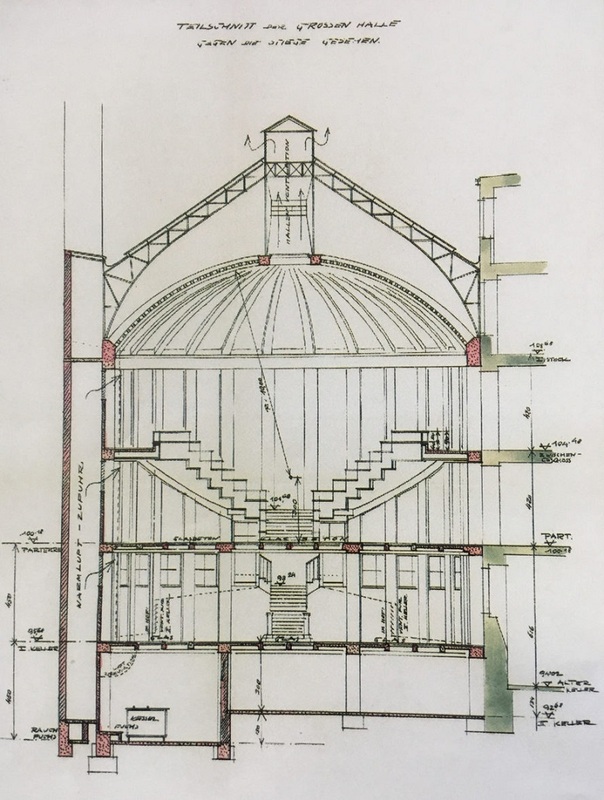 The top of the building was finished with a unique edge and had archways and circular windows on the fifth floor. 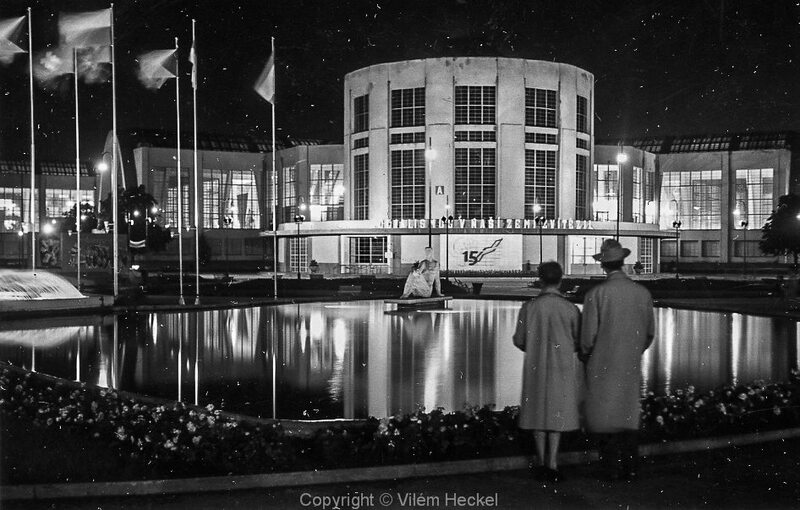 In the lunettes, the circular windows of the interior designed by Harald Bauer dominated the spacious hall with a glass dome. 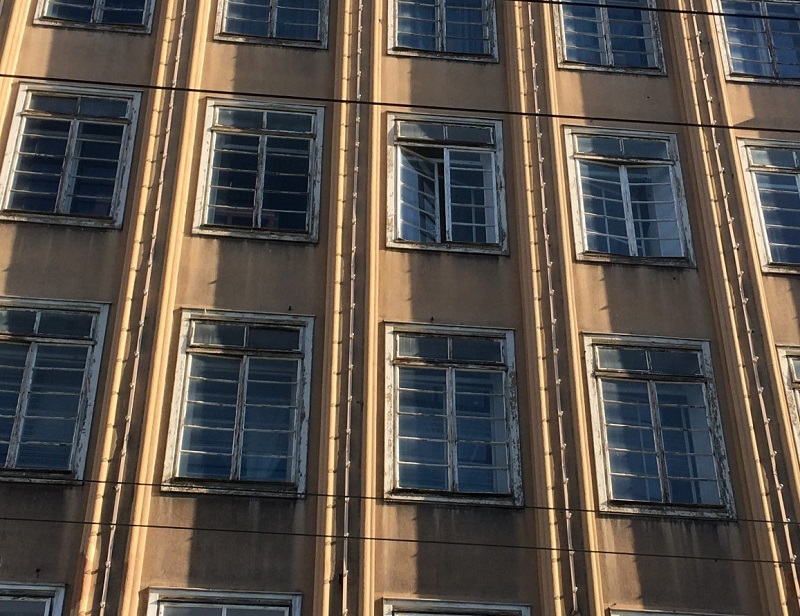 For its time, it was equipped with very modern conveniences, for example – air conditioning, cargo and passenger lift, central heating, telephone exchange and other equipment not yet introduced in other department stores. 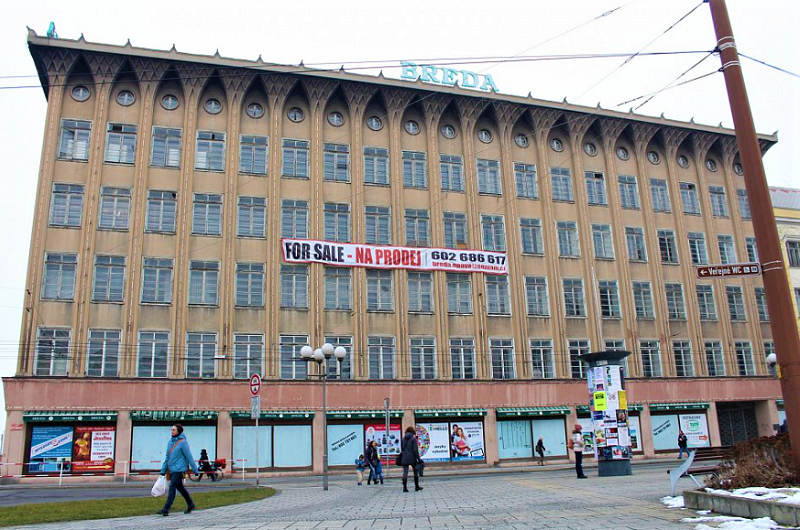 At the time of its inception, the department store firm Breda & Weinstein in Opava was the first modern department store in the entire country. Weinstein made a decision to hire Leopold Bauer, a strong representative of Viennese Art Nouveau movement. The Breda & Weinstein building was therefore built in a similar fashion and the completion of the department store meant considerable publicity for Bauer and others involved. The first two floors of the building and one of the basements served as a shopping area, and the other floors were a offices and a clothing factory. Furniture, industrial goods, household items and toys were sold in the basement. The ground floor offerred textiles and footwear. On the first floor, home furnishings, electrical appliances and clothing were available. The building not only served as a place to buy all kinds of goods, but also to sell tickets to the theater, to present fashion shows and art exhibitions. A garden with a view and sitting was to be were built on the roof. 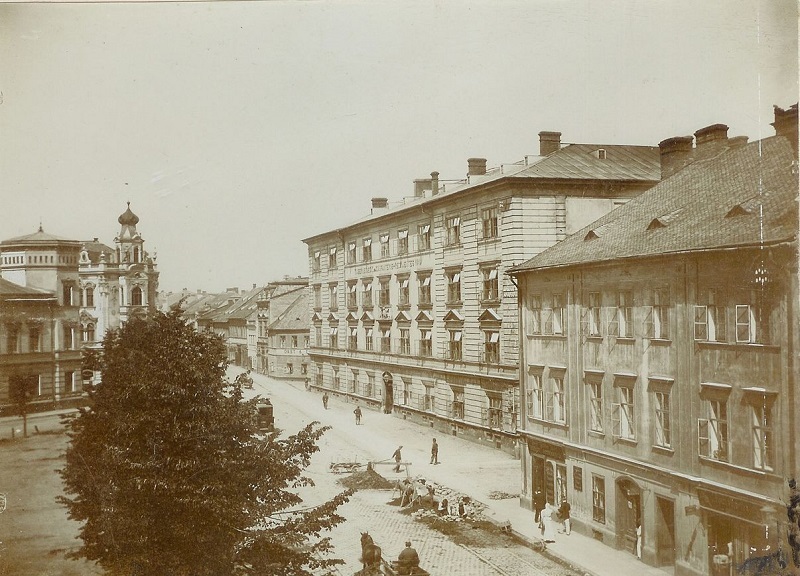 Ten years after the ceremonial opening of the magnificent building, however, the political situation worsened and Opava became one of the main cities occupied by the Sudetenland. The synagogue where Weinstein and Breda met, was completely destroyed on November 1938. 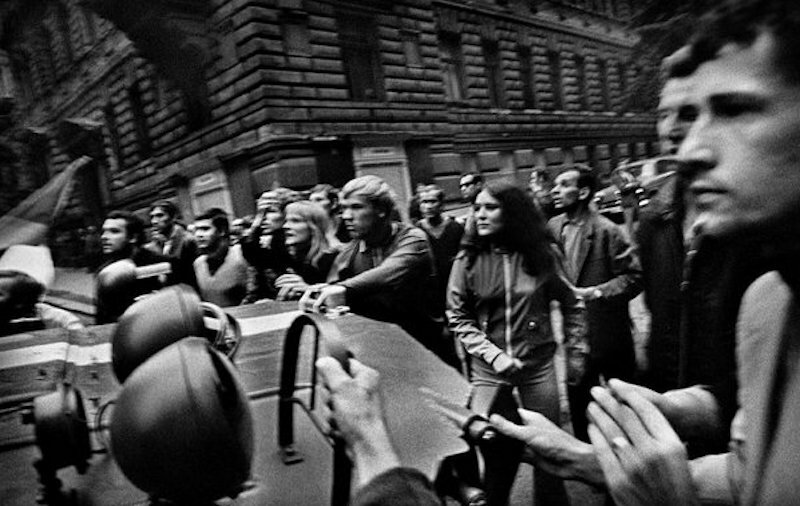 David Weinstein lost all of his possessions and moved to Prague with his family. Less than a year later, under the pressure of rapid political changes and an increasing number of racist attacks, he and his wife committed suicide (1939). Their son emigrated to Norway, but he was not safe there and later died in the concentration camp. The company and department store operated in limited operation during the war under the name of Melder, Reiser et al. 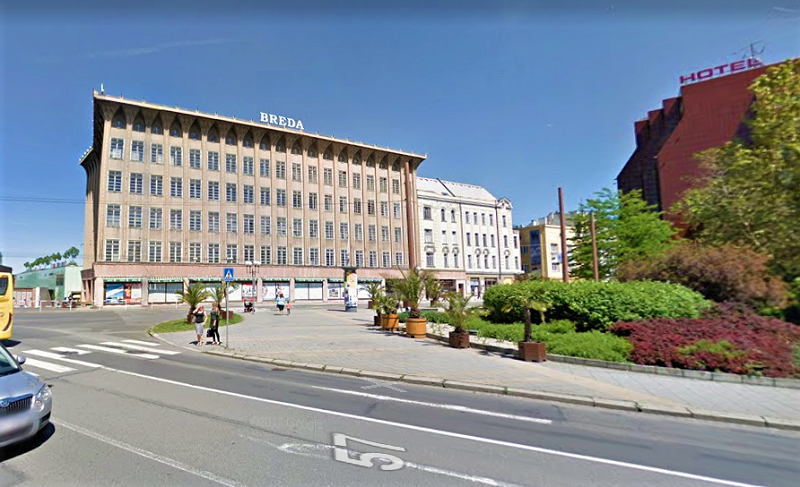 Despite the town suffering considerable damages during the liberation operations with more than 80% of the buildings damaged, the Breda & Weinstein building resisted and had only a few broken windows and minor roof defects. 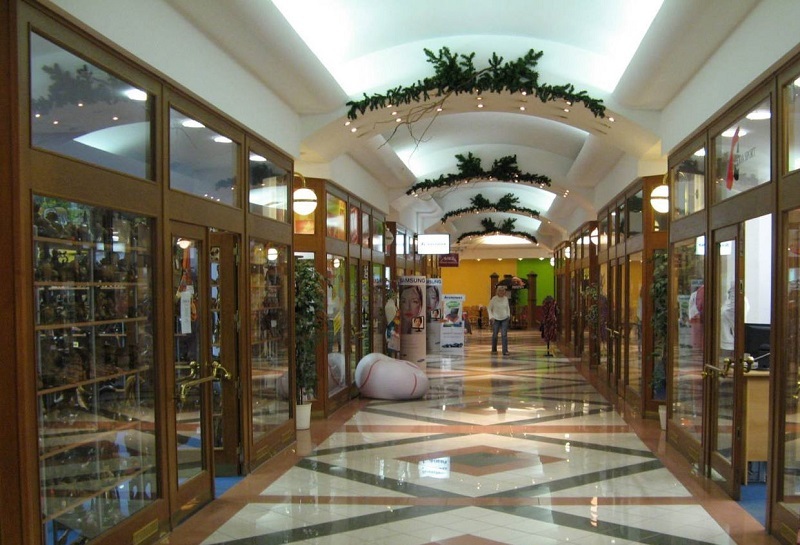 The shopping center was reopened under the national administration at the beginning of October of 1945. 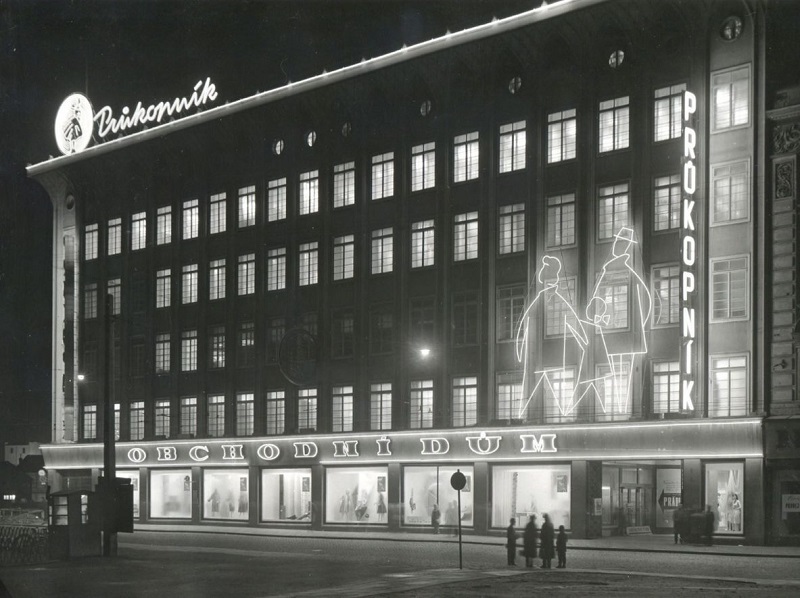 In 1948, the nationalized department store was established and they decided to modernize it. In addition to redesigning the interior, they also changed the exterior and renamed it. It was promptly renamed Průkopníka (and later Prior) and it undergoes several major redevelopments over the next ten years. The only living relative, a nephew of Weinstein named Bruno Fischer sought a claim to have the property returned, he did not meet with success. The company was confiscated by the state, stating the owner was a German and a supporter of occupiers. In 1972, the building was registered in the list of state cultural monuments. At this time, you can see it is named Prior. 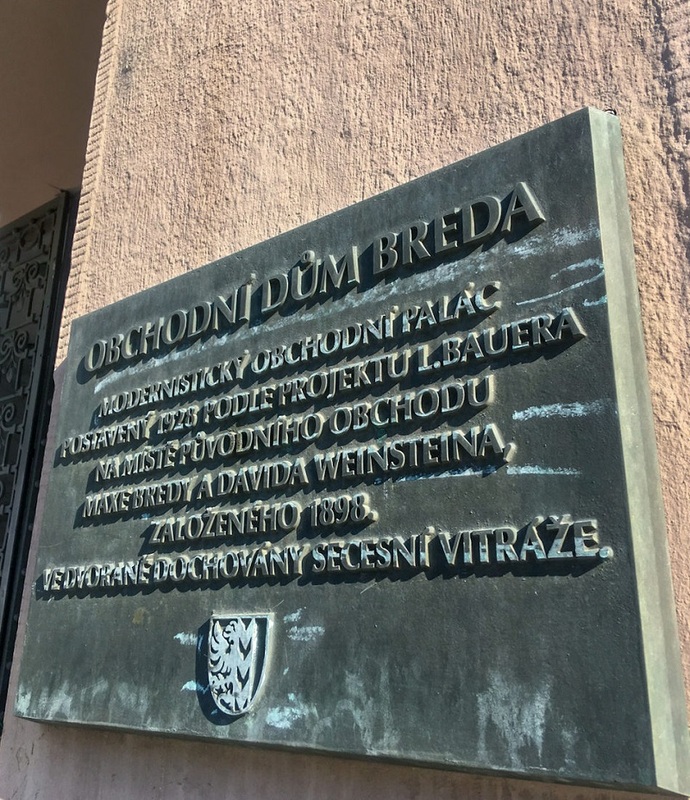 The daughters of Weinstein’s nephew again attempted to have the family property returned in 1992, but the authorities did not recognize their claim for reasons of not coming from a direct bloodline and having no Czechoslovak nationality. 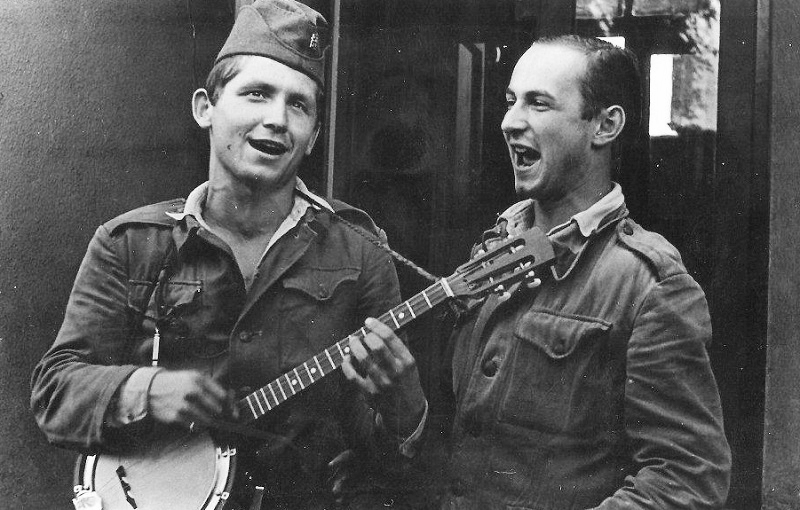 “According to the claims of Ruth Weinstein’s daughter, they have never formally gotten their Czechoslovak citizenship, and both sisters are unfortunately dead and their onlychildren live in Israel,” said historian Vaclav Hajek of the National Monument Institute who prepared an exhibition and documentary about the family. 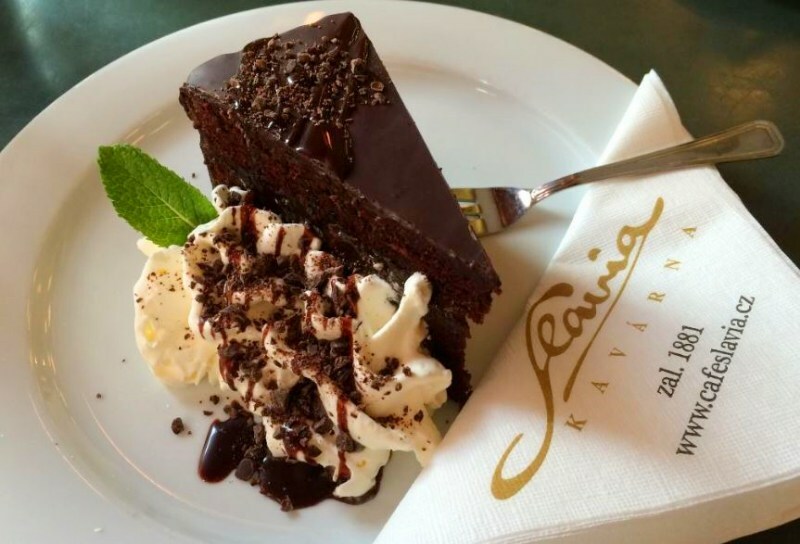 After 1989, the name returns to the original owners, and is known as Breda. 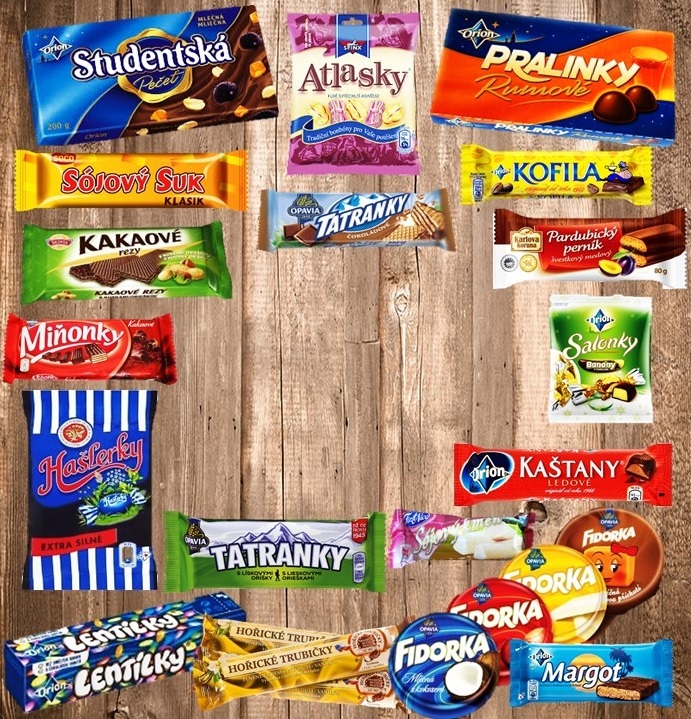 In 1993, Opavian entrepreneur Kamil Kolek purchases the property for 27 million crowns. The interior is reworked in the spirit of postmodernist reconstruction. Photograph: National Heritage Institute, Territorial Technical Office, Ostrava. Completely renovated and renamed the David Weinstein Passage, this was ultimately destroyed with the subsequent fires. The building endured two significant fires, one in 2004 and the other in 2013. As a result, the building is now permanently closed and the only thing connecting it from it’s heyday and fame is the name of its first owners. The building sat, quite dilapidated for a while, and there was a large “for sale” banner strung across it for years. A bankruptcy trustee suggested the city purchase the Art Deco building, but the city declined. 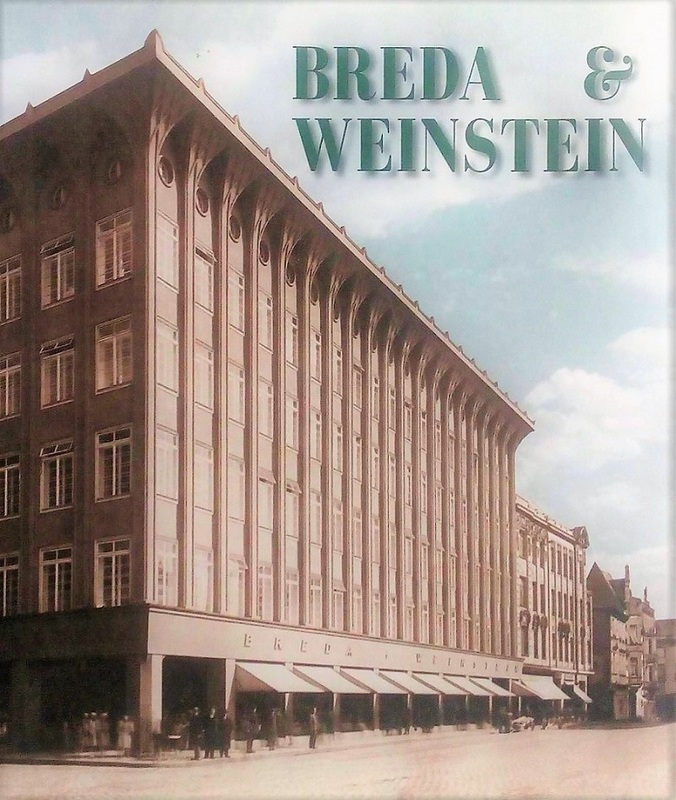 Today there is a new shopping center which bears the name Breda & Weinstein. It opened on November 15, 2012 and part of it sits literally behind the old Breda building. It is a huge and modern center with an area of 25 000 m². It was built on the former site of the dilapidated brewery Zlatovar. In the image below, the arrow points to the original building roof, and the large box shows the new shopping center. 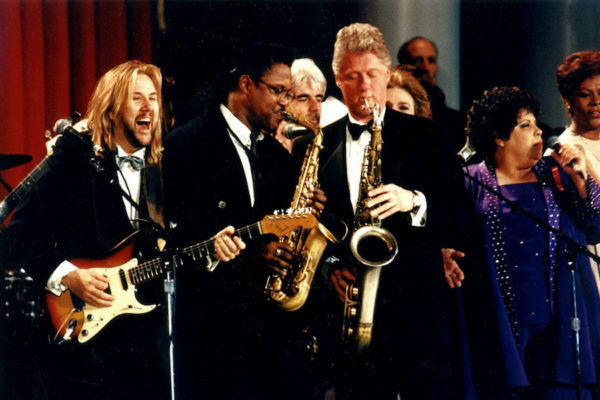 But we are more interested in this oldie but goodie! This architectural gem, the original Breda & Weinstein, became the Building of the Year five years ago and was also honored with the Grand Prix of Architects. However, it’s still sitting empty. The monumentally protected building could still find its place after all these years. 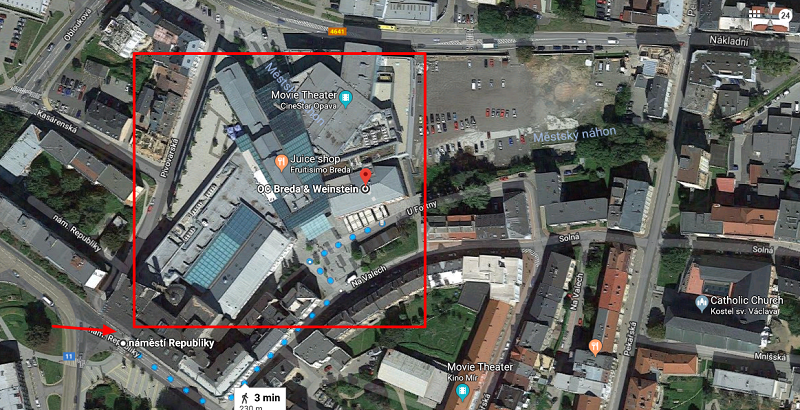 According to the chairman of the creditors’ committee, there is a private Czech investor with a relationship to the city negotiating a purchase. 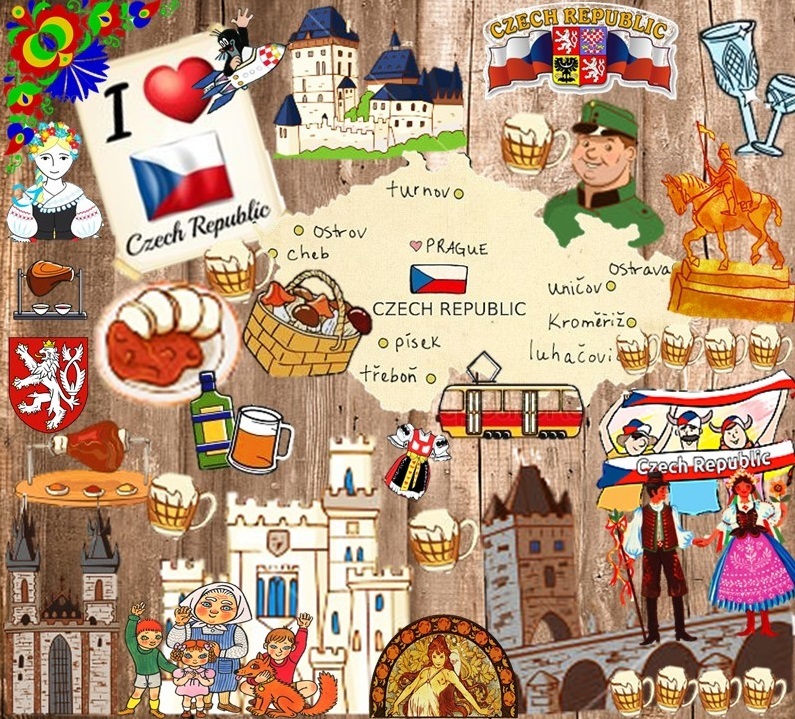 Thankfully, at least it was agreed that the spirit of this example of the Czechoslovak golden era should eventually be preserved and someone out there seems to care! 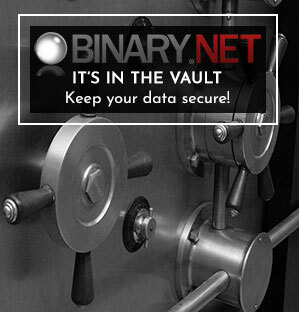 Here is an interesting perspective on the site.